Nelle Fenton knows more than most about horses. She can ride (even sidesaddle), she can jump fences (and thrill at the prospect), she can fox-hunt (with the winning tails as trophies), she can breed (a fine Thoroughbred), and she can deliver (a foal). But can this Pennsylvania debutante turned mistress of the manor in Virginia horse country act as faithful wife and caring mother? In her own manner, she can. Meaning that Nelle, a woman with little patience for people in general and less patience with the foolhardy, does indeed remain married to Richard Fenton an entire adult lifetime, despite her extramarital affairs and private disappointments. And as for her seven sons: They do indeed crave their mother's affection (as Nelle herself craved her formidable mother's), but even Nelle would admit that her maternal instincts are no match for the company of horses and her love of the rolling Virginia countryside. "I've entered four times and won twice," says Memphian Bradley Harris, who, for a living, advises writers on writing. "That's a good average in the major leagues." "I had no thought of winning. I'd won once, back in 1998, and that felt like a fluke. So I put it out of my mind. My purpose in entering the contest was just to have a book-length manuscript, so I could expand it. "When Melissa Edwards from the contest called me, I was with a writing client. I said to Melissa, 'Let me call you back.' Melissa said, 'Well, you won the 3-Day Novel Contest.' I thought, no, you're wrong. It struck me as a silly possibility. I was so flabbergasted that I had to ask her what text I'd sent. I felt for a few moments like a fool. "So indeed I sent it in, and there you have it: Lightning strikes twice." "Newspaperman on their time, fiction writer on mine." That's how David Wesley Williams describes the writing life — his life. He's served as sports writer and now as sports editor at The Commercial Appeal for 25 years. But he's a writer of short stories and novels too. 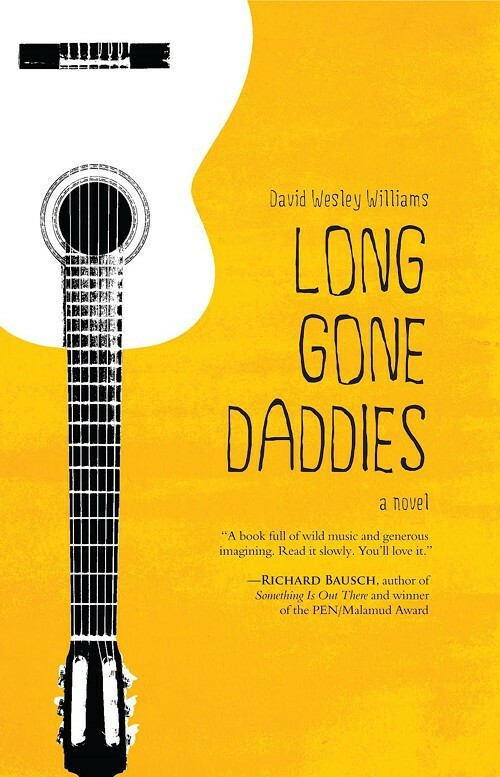 And this week sees the publication of his debut novel, Long Gone Daddies (John F. Blair, Publisher), on March 5th, which happens to be the 50th anniversary of Patsy Cline's death — an important date given that Long Gone Daddies draws on the music that Williams loves most: country classics, Delta R&B, and early Memphis rock and soul.